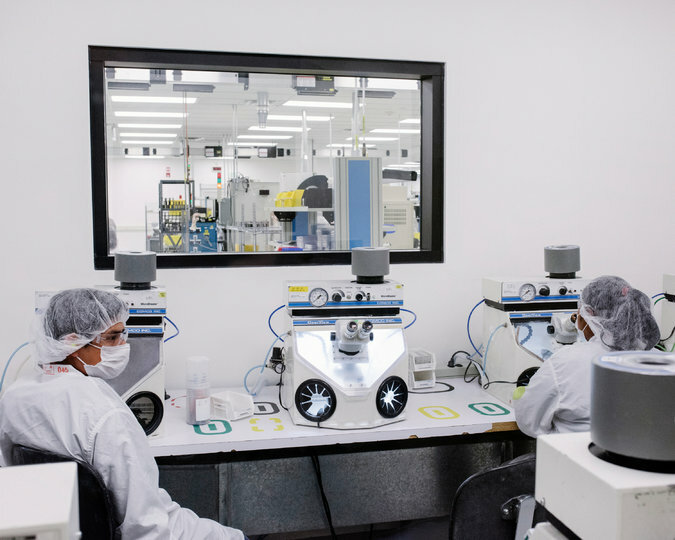 ALSO MADE IN MEXICO: LIFESAVING MEDICAL DEVICES | "Global Possibilities"
TIJUANA, Mexico — The North American Free Trade Agreement has transformed this sprawling border town from gritty party spot to something entirely different: a world capital of medical devices. Trucks choke boulevards lined with factories, many bearing the names of American-run companies: Medtronic, Hill-Rom, DJO Global and Greatbatch Medical. 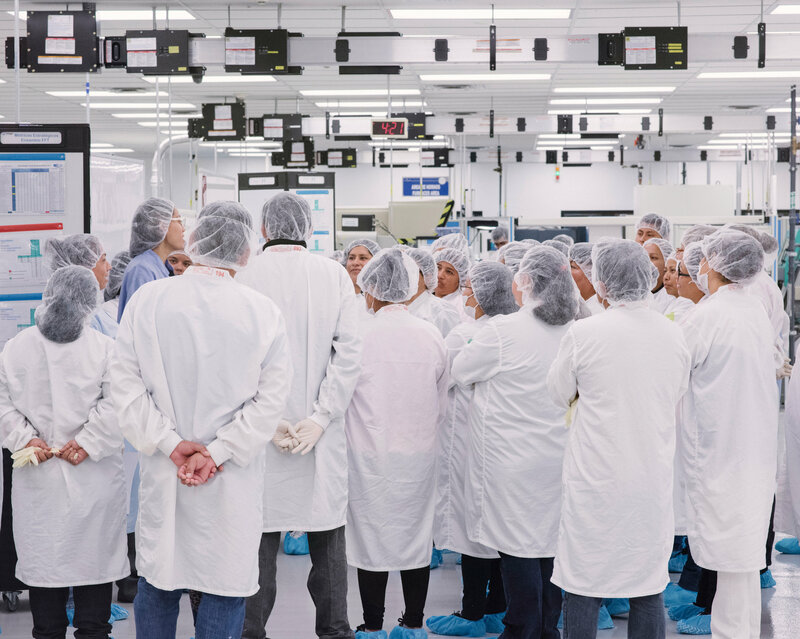 Inside, Mexican workers churn out millions of medical devices each day, from intravenous bags to artificial respirators, for the global market. Nearly everyone in America who has a pacemaker — in fact, people all over the world — walks around with parts from here. When President Trump threatens to redo trade deals and slap steep taxes on imports in an effort to add more manufacturing jobs, he focuses largely on car companies and air-conditioner makers. But the medical devices business makes a particularly revelatory case study of the difficulties of untangling global trade. America imports about 30 percent of its medical devices and supplies. The trouble is, these jobs are among the most difficult to relocate to the United States. To ensure the safety of products that often end up inside the human body, medical devices are strictly regulated and require lengthy approvals from the Food and Drug Administration and other inspectors. If the companies do keep major operations outside the country, new taxes on imports would most likely increase the cost of their products — a change that could jolt not only the devices industry in coming years, but also health care nationwide. Here in Tijuana the factories are bound to stay put for years, at least. During that time, health executives say, a border tax could fracture the industry’s sophisticated global supply chain and force American hospitals to pay more for vital necessities — or worse. American hospitals rely on heaps of bandages and surgical gloves from China, suturing needles and artificial joints from Ireland, and defibrillators and catheters from Mexico. In all, the annual imports of medical devices more than tripled from 2001 to 2016, when it reached $43.9 billion, according to BMI Research, a unit of the Fitch Group. The factories have helped remake the city’s reputation from a ribald party town to a locus of sophisticated industrial manufacturing. Roadside shanties made of corrugated metal and plastic abut new apartment complexes painted fuchsia and lime green; late-model S.U.V.s bounce along potholed roads. Workers pass through imposing security gates to begin shifts operating advanced machinery or delicately sewing pig tissue onto stents for heart valves, and trucks zip in a steady line across the border in preclearance, fast-track lanes into California. But the possibility of new protectionist trade policies is already looming over this buzz of activity. The question for many of the people here is whether it will upend the economic incentives that led American companies to invest in the city in the first place. Mr. Trump has argued that a border tax is needed to keep well-paying jobs in the United States and dissuade companies from relying on Mexican workers who earn a small fraction of American wages. Technicians at medical device factories in Tijuana earn about $14 an hour, compared with about $25 an hour for technicians at factories in the United States. American companies draft plans to build new plants — or expand existing ones — years in advance, said Miguel Felix Diaz, vice president of the Baja California Medical Device Cluster, an organization that represents 63 medical device manufacturing plants that employ 60,000 Mexican workers. The final tally of just how much American customers — hospitals, clinics, nursing homes and doctors’ offices — would pay is unclear. Mr. Trump and Republican lawmakers have yet to release a detailed plan on trade tariffs or corporate tax reform. In addition, the final price on many medical devices is negotiated by group-purchasing organizations, which harness the purchasing power of hospitals and others and would try to mitigate any price increases. But chief executives at some of the United States’ largest hospitals are nervously watching the gathering legislative, economic and geopolitical storm. The executives say this concern on trade is based on simple math. A border tax, experts say, would ricochet back and forth across the United States-Mexico border — and around the world — in unintended ways. Mexico’s medical device industry buys much of its raw materials and capital machinery from American suppliers. The American-owned Integer plant in Tijuana, for example, buys 90 percent of its raw materials, essentially duty-free, from the United States: stainless steel to be stamped into cups used for hip replacements and plastic to be molded into catheters. Then half of the factory’s output is shipped back to the United States and much of the rest to American-owned companies in Puerto Rico, Switzerland and Singapore. If Mexico imposes tariffs on raw materials from American suppliers, a likely response to any border tax imposed by the United States, production costs would spike for companies in Mexico or those companies would shift to suppliers in other countries eager to cut low-tariff deals like China. Imports from China contain around 4 percent of content from the United States, while imports from Mexico contain about 40 percent, and even more in products like medical devices. “The damage wouldn’t just to be to the Mexico operation, it would be to U.S. suppliers,” said Christopher Wilson, deputy director of the Mexico Institute at the Woodrow Wilson International Center for Scholars. The Food and Drug Administration inspects and certifies hundreds of medical device manufacturers in China, Europe, Mexico and elsewhere, and even minor manufacturing changes must be certified, a process that can take many months. The Integer plant in Tijuana that Mr. Hernandez oversees looks like a vast scientific laboratory. Behind glass windows, in so-called clean rooms, employees in blue hair caps and bootees tend to machines that process gold and platinum into tiny components for pacemakers. In one room, workers sit shoulder to shoulder, peering into microscopes as they expertly remove tiny debris from freshly made parts. Even the smallest change in these manufacturing protocols would require a new inspection. The company, like many others here, is seamlessly integrated: Employees in Tijuana videoconference with research and development teams in the United States to fine-tune product designs. The border seems like a quaint historical footnote. “People need to understand this relationship we have goes both ways,” said David Mayagoitia, president of the board of the Tijuana Economic Development Corporation. Sitting inside an office in a modern glass and concrete building in downtown Tijuana, Mr. Felix Diaz said Mexicans and Americans had built strong relationships. This article was produced in collaboration with Kaiser Health News, an editorially independent program of the Kaiser Family Foundation. The author is a senior correspondent for Kaiser Health News.